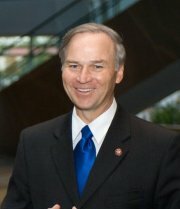 Congressman Randy Forbes (R-VA) is taking a key leadership role in defending the religious liberty of all members of the U.S. Armed Forces – and is speaking out on behalf of jailed Iranian-American pastor Saeed Abedini. Mr. Speaker, religious freedom is a fundamental human right—a right which is guaranteed by the First Amendment. Many of America’s earliest settlers came to her shores seeking religious freedom. As individuals around the world face persecution because of their religious beliefs, America has stood as the beacon for the importance of protecting the ability to freely exercise religious beliefs without fear of intimidation, reprisal, or harm. Faith permeates every aspect of a person’s life; it cannot be confined to a belief that is maintained only within one’s head, home, or place of worship. It is essential that our military policies and leadership respect the fact that a person’s faith also informs the way in which they serve. Anything less is a disservice to their brave and noble sacrifice. It is for this reason that Congress enacted conscience protections in last year’s National Defense Authorization Act. However, these protections have fallen on deaf ears. President Obama called these protections ill-advised and unnecessary. Over eleven months have passed since these protections were signed into law, and the Department of Defense has yet to implement policies to enforce the conscience protections. Furthermore, I fear there is a growing lack of understanding for the importance of preserving the integrity of the chaplaincy. A chaplain’s purpose is first and foremost to facilitate the free exercise rights of service members and their families. They serve as an essential pillar of support, especially for those who are not able to freely access religious services and support in the way they could as civilians. Chaplains are more than counselors, honorably and indiscriminately serving all service members. The members of our Armed Forces do not leave their faith at home when they commit to serve our country, and I remain committed to ensuring they are never required to do so. This week, our nation paused to celebrate Veteran’s Day. A day in which we give thanks to the brave men and women who sacrificed so much, not just in protecting America’s safety, but protecting the values and freedoms which make her great. Freedom of religion is, has been and must always be, among the great freedoms citizens of America possess. The prominence with which the United States holds freedom of religion must remain clear. Mr. President, the world looks to you as the face of our nation when gauging our commitment to ensuring this inalienable right is never subject to threat or restriction. Pastor Saeed Abedini’s situation in Iran has dramatically worsened since you discussed his captivity with President Rouhani in September. On November 3 2013, Pastor Abedini was transferred to Rajai Shahr Prison, which was described by Dutch diplomat Loes Bijen as a prison “where political prisoners who are seen as a nuisance are stowed away” and collocated with murders, rapists and drug addicts. Mr. President, as Pastor Abedini’s family sees it, and as we, the undersigned see it, this transfer has elevated Pastor Abedini’s eight year prison sentence to a death sentence. After being denied any due process, convicted, sentenced and tortured, Pastor Abedini is now being held in a prison cell with five of Iran’s most violent criminals simply because he has exercised his inalienable right to practice Christianity. Pastor Abedini’s life is in peril, and this most recent action by Iran warrants a response from the President. The time is now for you and your administration to raise international awareness regarding Iran’s brazen violation of an inalienable right which should be extended to every person in the world. So far, the Obama Administration has issued a couple of mild statements on Abedini’s dire situation, but has not indicated if it will actually take any action to obtain his release. The Obama Administration has, for the past five years, been a strong defender of religious liberty for Muslims, but not for Christians or Jews. In fact, Obama and his minions have gone out of their way to suppress the religious liberties of non-Muslim faiths – especially Christianity.